Ten years ago, Intel formed the Retail Solutions Division at an opportune moment – the industry was ripe for disruption. At the time, the average store could barely make use of the information at its disposal. Because systems couldn’t talk to each other, nothing happened in real time. Retailers were giving up billions of dollars due to poor inventory management. And with little in the way of shopper analytics, they couldn’t easily understand their customer or personalize their in-store experience. In many, if not most, cases, shoppers walked into the store better equipped with both information and technology than the sales associates who were supposed to be helping them. A decade later, on our 10th anniversary of participating at NRF, the fundamentals of retail haven’t changed. Retailers that stay relevant have always focused on experience, quality and curation. Consumers are now expecting those fundamentals in a different way, and we’re here to help. 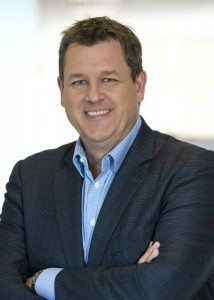 At Intel, our job is to be a catalyst for our customers and partners making that customer journey seamless – whether it’s curating immersive and personalized shopping experiences, fine-tuning inventory and supply chains, or driving operational efficiencies – so they can reinvest back into the customer experience. As with every NRF show, Intel is proud to showcase a dynamic array of leading-edge technologies and best-in-class retail solutions – a rich and representative sample of the pioneering work we’re doing with our strong partner ecosystem. This year, Intel will announce the Open Retail Initiative. It is the first internet of things (IoT) open-source initiative that focuses on enabling retailers to unlock the power of data and insights within their businesses to scale and address market challenges. 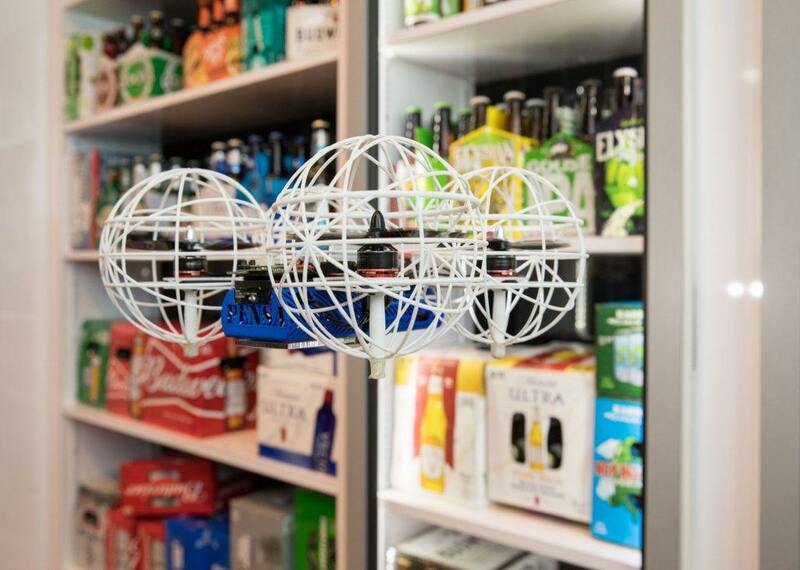 Pensa’s autonomous drone system, utilizing in-store servers with Intel architecture to power the analytics, uses computer vision and artificial intelligence to inform retailers of what is on shelves and what is missing – across all stores, everywhere, at any point in time. Intel is at NRF 2019 from Jan. 13-15 at the Javits Convention Center in New York (Booth #3437). (Credit: Intel Corporation). 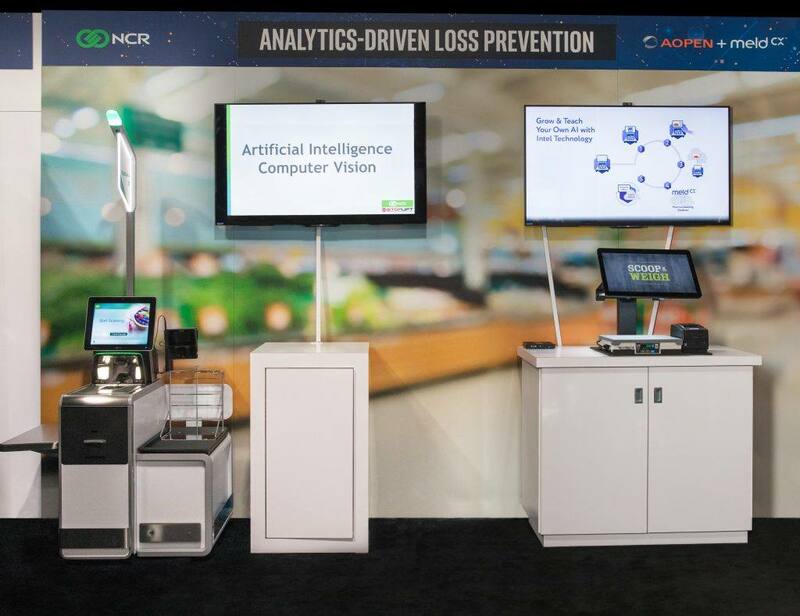 Using cameras and artificial intelligence, NCR helps the bottom line by providing technology for retailers to improve the shopping experience while reducing shrink. Intel is at NRF 2019 from Jan. 13-15 at the Javits Convention Center in New York (Booth #3437). (Credit: Intel Corporation). 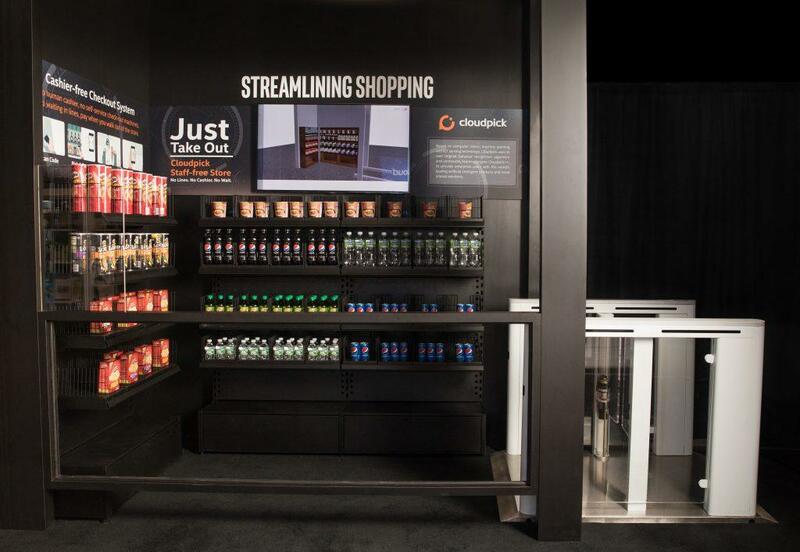 Created by Mood Media, WestRock, In-Store Screen and Intel, Smart Digital Shelving allows brick-and-mortar retailers to harness data to design more engaging customer experiences, which result in greater traffic conversion and basket size. Intel is at NRF 2019 from Jan. 13-15 at the Javits Convention Center in New York (Booth #3437). (Credit: Intel Corporation). 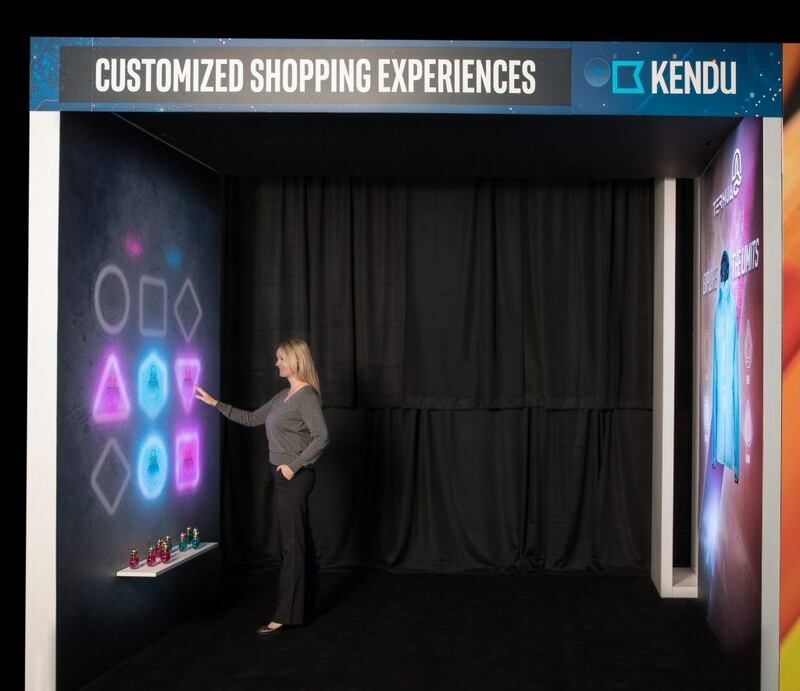 Kendu’s Interactive Archway allows retailers to highlight hero products in a store and demonstrates how a customer can engage with new products to learn more. Intel is at NRF 2019 from Jan. 13-15 at the Javits Convention Center in New York (Booth #3437). (Credit: Intel Corporation). JD.com’s Smart Vending JD Go removes friction and provides product recommendations to customers. Intel is at NRF 2019 from Jan. 13-15 at the Javits Convention Center in New York (Booth #3437). (Credit: Intel Corporation). 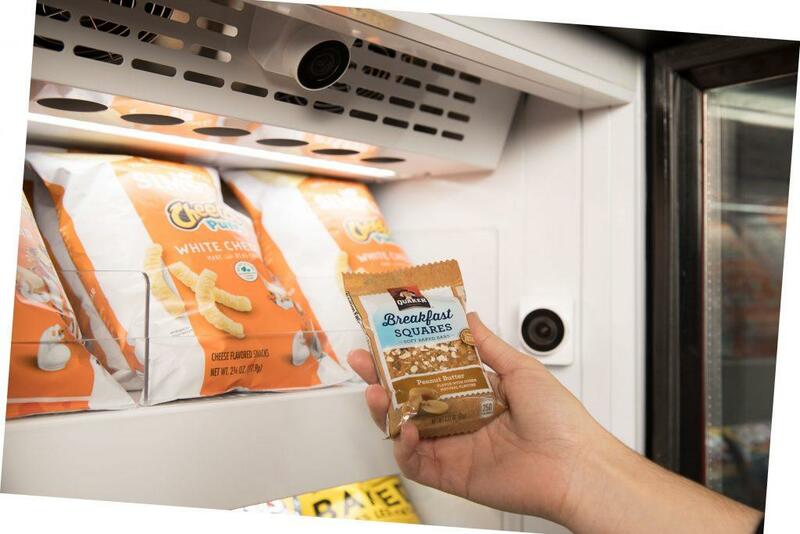 CloudPick uses automated door access, weighting sensors, cameras and computer vision to create a frictionless experience for shoppers, and an efficient store for retailers. Intel is at NRF 2019 from Jan. 13-15 at the Javits Convention Center in New York (Booth #3437). (Credit: Intel Corporation). 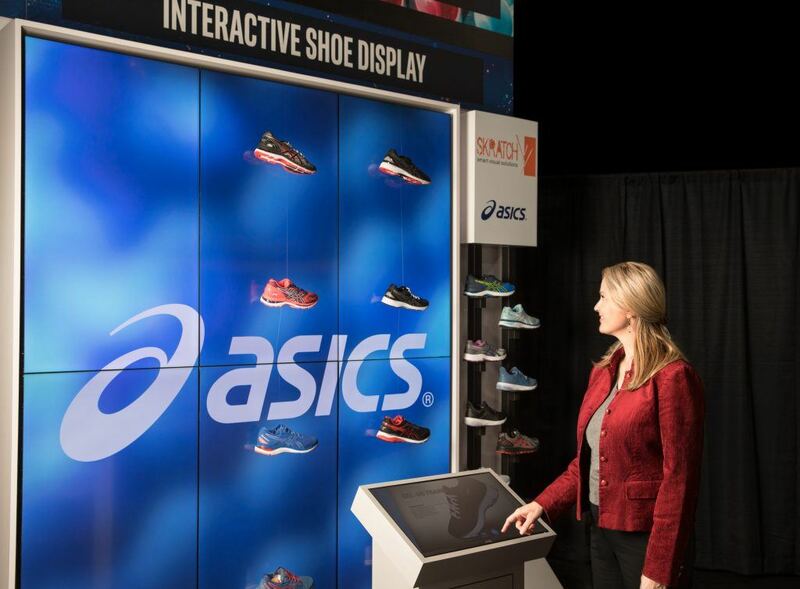 The ASICS Interactive Shoe Display uses a touchscreen totem to allow consumers to control the wall-sized display as they scroll through the ASICS catalog to find more information about each shoe. Intel is at NRF 2019 from Jan. 13-15 at the Javits Convention Center in New York (Booth #3437). (Credit: Intel Corporation). » Download all images (ZIP, 24 MB)Retailers are getting serious about increasing inventory accuracy and attacking on-shelf availability problems. Unveiled for the first time at Intel’s NRF 2019 booth, Pensa will show its breakthrough retail inventory visibility system aimed squarely at the trillion-dollar retail shelf “blind spot” problem. 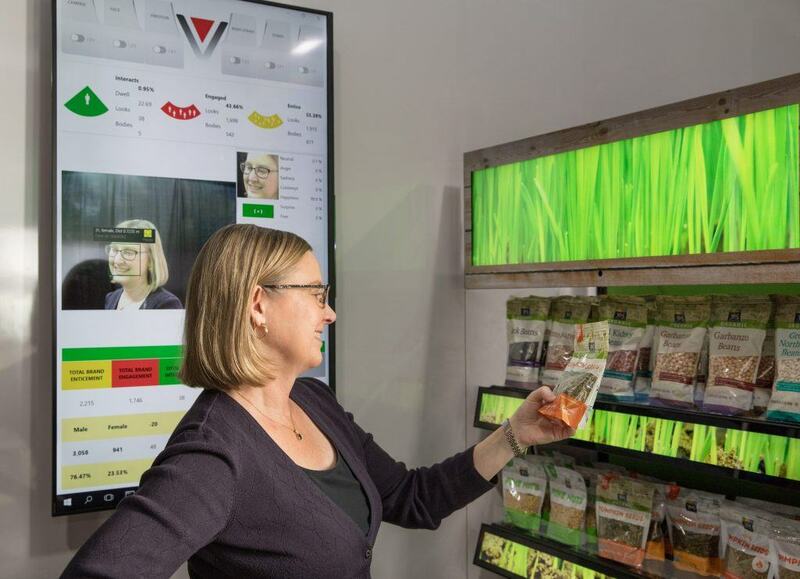 Utilizing in-store servers with Intel architecture to power analytics, Pensa combines artificial intelligence (AI) and drones to autonomously scan shelves and then alert retailers and brands as to what is actually on shelves – across all stores, everywhere, at any point in time.Some of the most exciting innovations in retail technology are the changes you can’t see – the technologies that are allowing back-of-house automation so valuable staffing hours can be put back into customer-facing activities. Rubikloud utilizes a machine learning platform for retail to automate the mass promotions and merchandising process – the most expensive business process – to deliver an optimal mix of promotion mechanics for accurate forecasts to reduce stock-outs and increase revenue. AI is reinventing the retail landscape. No longer confined to the data center, AI has made its way into the store itself where retailers are using machine learning to streamline operations, improve supply chain and inventory management, fuel immersive experiences, and inform precision marketing. MeldCX/AOpen is the first AI-enabled, computer vision bulk product scale and labeling system powered by multiple Intel architectures, including Intel® Movidius™ Vision Processing Units. It allows bulk items to be purchased and determines the type and cost of an item, without a barcode – removing friction from the shopping experience by determining bag contents to save time, money and hassle. Intel’s Open Retail Initiative removes barriers between innovators by connecting technologies and data through common, open-source frameworks. It promotes a free exchange of ideas within the retail industry to drive creative and technological advancement. Through collaborations within the EdgeX Foundry alliance and our ecosystem partners, starting with Canonical, Dell, Envirosell, HP, JD.com, JDA, Petrosoft, RetailNext, SAS, Shekel Brainweigh, SUSE, Toshiba Global Commerce Solutions, Verifone and VMware, Intel is removing barriers to technology adoption. As Intel celebrates 10 years as a catalyst and key partner in building a bright future for retail, there’s nothing more exciting than imagining what’s ahead. The era of retail transformation has only just begun. Here’s to the next 10 years, and many more to come. Joe Jensen is vice president of the Internet of Things Group and general manager of the Retail Solutions Division at Intel Corporation. Intel at 2019 NRF: If you are interested in learning more and checking out our partner solutions and demos, visit our booth, #3437, or check out our demo fact sheet.